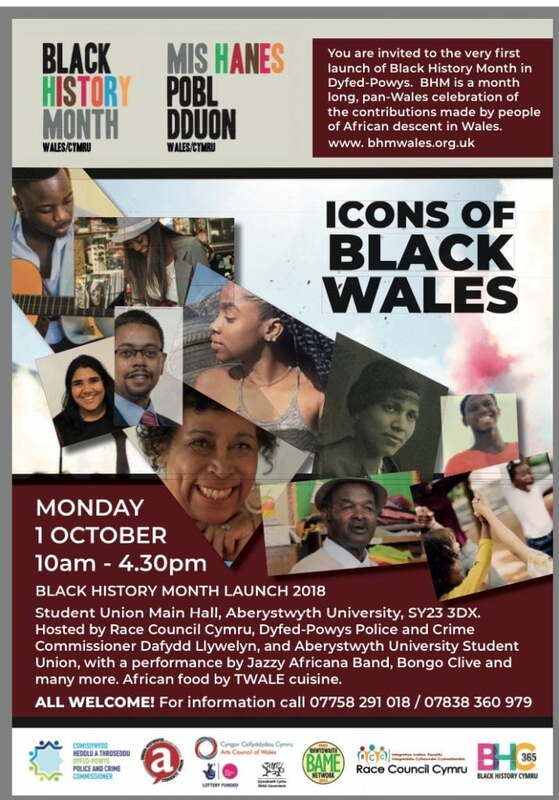 BLACK HISTORY MONTH LAUNCH 2018. Student Union Main Hall, Aberystwyth University, SY23 3DX. Hosted by Race Council Cymru, Dyfed-Powys Police and Crime Commissioner Dafydd Llywelyn, and Aberystwyth University Student Union, with a performance by Jazzy Africana Band, Bongo Clive and many more. African food by TWALE cuisine. 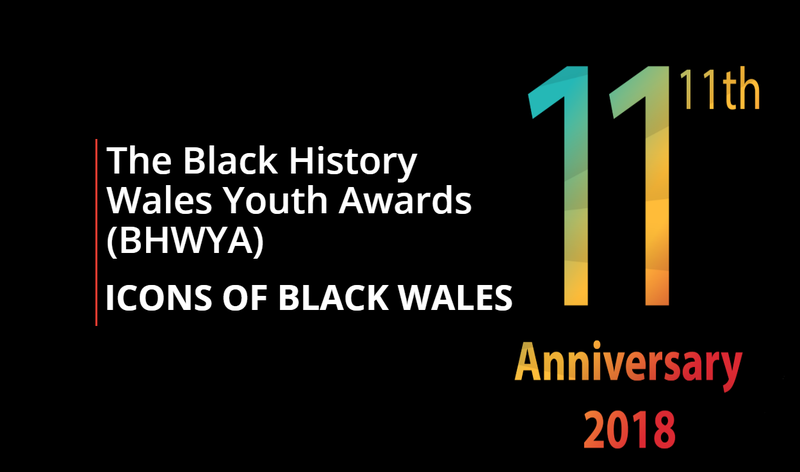 To celebrate BHMW 2018, the theme for the year is “ICONS OF BLACK WALES: 11thAnniversary 2018’’ (Hashtag #BHMWales11) we wish to recognise the achievements of young people from Black and Minority Ethnic communities in Wales. Last year, the first of these award ceremonies were held at the Pierhead Building, Cardiff Bay. Led by Race Council Cymru, the awards ceremony was a huge success, with awards presented by Welsh Labour Assembly Member for Cardiff West Professor Mark Drakeford AM. The ceremony and winners received nationwide coverage and prime time spots on BBC News and ITV’s Newsweek.